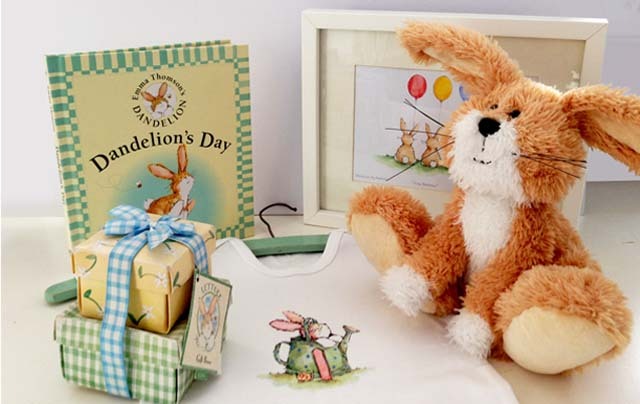 Dandelion the Rabbit from Emma’s Garden, was originally launched in 1997 as Lettuce the Rabbit on over 200 greetings cards for Paper House, sold & distributed globally. The success of these greetings cards was shared with a Lettuce the Rabbit confectionery range for Boots and a ceramic kitchenware range for M&S. 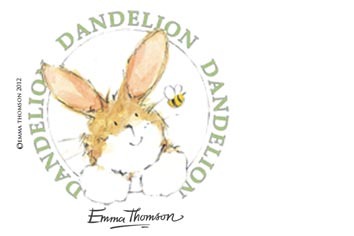 Currently a Dandelion the Rabbit babywear range & a Dandelion the Rabbit new childrens publishing title are in development for a Spring 2017 launch. News and Updates Follow @Emmas__Garden . Original Artwork & Official Products are available here.